Similar to a heroin addict, Western nations have a destructive addiction which they are so dependent on, they appear unwilling to give it up. 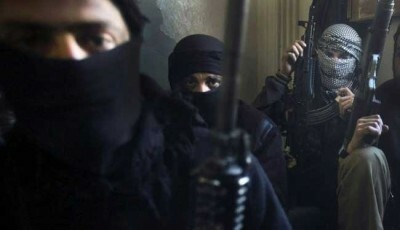 Funding radical terror organisations is the modus operandi of many prominent nations in NATO, with the US, UK and France, playing a prominent role. From the Afghan Mujahideen to the so-called Islamic State (ISIS/ISIL/IS), extremist groups have been used as geopolitical tools by the West for decades. Over 120 people dead and hundreds injured, the tragic scenes in France have shocked many people in Europe. ISIS has claimed responsibility for terror attacks in other regions of the globe recently, including in Lebanon, where at least 44 people were brutally killed. Dabiq, the magazine of ISIS, has also just published a photo of parts of a homemade bomb that they claim was used in the atrocious terrorist attack on the Russian passenger plane in the Sinai Peninsula, which killed over 220 people. Despite all the grandstanding and rhetoric from the French President and Western leaders, a critical point that needs to be emphasised is that Western governments are complicit in the Paris attacks and any future terror attacks (there will be more). If we put aside for a second the thesis that the Paris attack was a false flag operation or that French intelligence simply allowed it to happen, what can’t be disputed is that Western foreign policy has directly resulted in the rise of terrorism globally, most notably the rise of ISIS and Jabhat al-Nusra. These groups would not have the resources and global reach to launch any attacks in the West if they had not been armed, trained and let loose on the Syrian government by NATO members in collusion with regional allies. For those who have been following the proxy war in Syria and the nefarious and insidious policies of the West, this latest attack comes as no surprise. ‘The Salafists, the Muslim Brotherhood and AQI (al-Qaeda in Iraq), are the major forces driving the insurgency in Syria,’ was the assessment of the opposition by the Defense Intelligence Agency in their declassified intelligence report from 2012. The French government delivered vast sums of money to the Syrian rebels in 2012, which was used to buy guns and ammunition. French President Francois Hollande confirmed in 2014 that France had delivered arms to the Syrian rebels to fight Assad. The UK has been pouring millions into the Syrian opposition for years, with reports from 2013 claiming Britain was involved in an operation with other European states and the US to provide the Syrian rebels with 3,000 tons of weapons, sent in 75 planeloads from Zagreb in Croatia, to the rebels. Roland Dumas, the former French minister of Foreign Affairs, , revealed that the war in Syria was ‘prepared, preconceived and planned’ at least ‘two years before the violence’ erupted in 2011. Dumas said he was approached in the UK by ‘top British officials’ to see if he would participate in “organizing an invasion of rebels into Syria”. In 2015, a Swedish national called Bherlin Gildo was accused of fighting for Syrian rebel groups – including Jabhat al-Nusra (read al-Qaeda in Syria) – but the case was quickly dropped after his lawyer’s cleverly argued that British intelligence was involved in arming and providing non-lethal aid to the very same terrorist groups he was allegedly fighting for. The former head of the Defense Intelligence Agency, Michael T. Flynn, revealed in a recent interview that the Obama administration took the ‘willful decision’ to support the rise of the Syrian rebels in 2012, even though Washington knew the opposition was composed of extreme terror groups. As Tony Cartalucci reported earlier this year, an ISIS mercenary confessed to Pakistani authorities that he received fundsthat were routed through the US in order to ‘recruit young people to fight in Syria’. The CIA has been shipping weapons to the Syrian rebels for years, whilst selling the practice to the public under the auspices of only supplying (phantom) ‘moderate’ groups. Considering the policy of NATO in Syria, does anyone actually believe that the strategists in London, Paris, Brussels and Washington, did not foresee blowback from their strategy? It’s hardly rocket science to figure out that if you fund and arm a bunch of crazed terrorists to overthrow a secular government in the Middle East, they are going to carry out terror attacks in other parts of the world. This leads to the question: Do Western leaders welcome more attacks? Europe has literally created the perfect climate for terror attacks by funding and arming radical groups in Syria, and then flooding Europe with refugees and migrants from the Middle East and Africa – which of course allows terrorists to enter with ease alongside the innocent people displaced by imperial Western wars and proxy wars. Obviously, the only viable solution to the refugee crisis is the stabilization of the Syrian state and the wider region, meaning the West has to abandon its drive to overthrow Assad and balkanize the nation. You never want a serious crisis to go to waste. And what I mean by that: it’s an opportunity to do things that you think you could not do before. Prior to 9/11, the majority of people in the West would find a pervasive, expensive, illegal and pernicious surveillance state to be a severe violation of their basic rights – including the right to privacy and the rule of law. After 9/11, the majority of people in the West appear to be willing to live in Nazi Germany to supposedly stop these Western-created terrorists from attacking, even though surrendering all your basic rights to the government does not give you safety or security. Snooping by the National Security Agency (NSA) has intensified dramatically in the US over the past 14 years. According to high-level NSA whistleblower, William Binney, the objective of the agency is ‘total population control’. The surveillance state in the UK hasexpanded at an alarming rate since 2001, and has accelerated since the 7/7 bombings in London. Following the Charlie Hebdo attacks at the beginning of the year in Paris, the French parliament has passed a surveillance bill which allows intelligence agencies to ‘circumvent the need for judicial warrants’. Many privacy advocates have rightly dubbed this the ‘French Patriot Act’, and we can expect the French government to demand even more 1984-style surveillance powers after the latest attacks. Will the West Halt this Abhorrent Strategy in Syria? In recent days there have been a few signs that some Western nations may be finally coming to their senses in regards to Syria at least, as European powers appear to be edging towards more rational dialogue. Reports suggest that the UK and Russia may begin to cooperate more closely in regards to Syria after the G20 summit, with Vladimir Putin stating that there is ‘some upturn’ in otherwise frosty relations between the two countries. General Sir David Richards, the former Chief of Defense Staff, also recently urged Britain to work with Assad to defeat ISIS, since attempting to overthrow Assad whilst simultaneously (supposedly) fighting ISIS, is not a ‘plausible’ strategy. In Syria, we’re looking for the political solution to the problem, which is not Bashar Assad. Our enemy in Syria is ISIL. Considering the destructive role that the US, Britain and France, have played in Syria and the wider region, it is difficult to believe these countries will truly implement rational and sane policies anytime soon. These powers are just as likely to exploit the recent tragedy to further their belligerent drive for regime change in Syria, and bomb Syrian infrastructure under the guise of fighting ISIS. Hopefully Russian leadership in the world will encourage the West to move in the direction of sanity however.